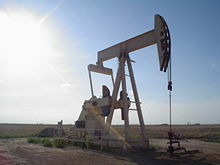 The crude oil is called over the ore extracted from the ground directly. Crude oil is composed mainly from Carbon, Hydrogen, Sulfur, Oxygen, metals and salts. Crude oil (petroleum) is the main source of energy on earth, although its major bad effects on the environment but there are no clean alternatives that are able to take its position till today. The crude oil is also used in several important industries as chemicals, fertilizers, plastic, synthetic fibers and rubber. It is even an ingredient in some manufactures used in our daily life like ink, crayons, deodorant, dish-washing liquids and bubble gum. Crude oil, coal and natural gas are formed hundreds of millions of years ago. It was formed from the dead trees, ferns and algae that filled the swamps that were covering most of the earth. Through years the sand covered the dead plants and converted to sedimentary rocks. In millions of years the rocks, that kept forming, caused a huge pressure which caused the formation of the coal, petroleum and natural gas. There are no information about the first people that discovered the crude oil, as it popped to the surface of the earth from some openings or when people found it instead of water in the wells. Later the Egyptians people used by to cover their mummies to preserve it and they also used it to seal the pyramids after burying their kings in it. The Babylonians and Assyrians used it to pave the roads and seal their boats. The Chinese used it for heating. While lots of people used it as medicine as the American Indians, the Persians, the Romans and the desert nomads used it to cure their camels from skin irritation. The 8th century noticed the first extract of crude oil in Iraq, then followed Azerbaijan, all the previous uses were uses of the crude oil in its raw feature. The first person that started to extract some products from the crude oil was Muhammad ibn Zakariya Al Razi (865-925) a Persian physician, chemist, scholar and philosopher. He refined crude oil and produced kerosene. The importance of crude oil was not so clear till the industry revolution in the 18th and 19th centuries. When the oil was discovered almost all over the world. Categories: Energy Sources, Environment, Who Discovered?